University of Chicago Press, 2014, 368 pages. In Jamie Cohen-Cole’s hands, the concept of the open mind becomes an effective historiographical tool with which to trace some of the intersections of the social sciences and American political culture during the Cold War. Cohen-Cole shows how open-mindedness—“a kind of mind characterized by autonomy, creativity, and the use of reason” (2)—became a salient notion in postwar America. He argues that, for an elite community of intellectuals and scientists, policy makers, foundation officers, and university administrators, the image of the open mind was capacious enough to “unify the political and intellectual desiderata of the time” (2). There is growing interest among historians of science in how social scientists and other experts thought about thinking during the Cold War. One group of authors contends that efforts to define rationality constituted a central project of the postwar human sciences, representing a quest to simultaneously unify disciplines and stave off nuclear war. [i] Historians have also begun to emphasize that the character of the social sciences wasn’t determined by the national security state and its demands. Social scientists’ working relationships with government and military agencies were in fact often characterized by ambivalence, negotiation, and even intellectual autonomy. [ii] Echoing these voices, Cohen-Cole points out that there is not always “a clear and direct connection between the forms of human reason analyzed in the sciences and Cold War military imperatives,” and that “significant segments of social science operated on a much broader political register than those defined by military concerns” (7). The Open Mind is a study of Cold War rationality on this broader register. Using archival materials culled from scholars’ personal papers, foundation grant files, institutional and administrative records, course lecture notes, and interviews, Cohen-Cole maps aspects of the history of psychology and related fields in the second half of the twentieth century onto a narrative familiar to American historians—the rise and fall of the so-called “postwar liberal consensus.” He argues that the open mind helped produce this apparent political consensus. The historian of science Sarah Igo demonstrated in her pioneering study The Averaged American: Surveys, Citizens, and the Making of a Mass Public that examining an era’s social scientific tools can be a way of getting a handle on its political culture. [iii] Cohen-Cole shows that “[i]t was not Zeitgeist, nor hegemonic ideology” that produced the consensus and conformity of midcentury, “but specific psychological technologies” (7). The story begins before the onset of the Cold War, with a look at debates over curricular reform at the secondary and college levels starting in the 1930s and culminating in the work of a committee established by Harvard president James Bryant Conant in 1945. In its published report, General Education in a Free Society (1945), the committee concluded that, in order to meet the demands of citizenship in a complex capitalist society, students ought to be equipped with a universal mental skill set for evaluating different forms of expertise. Cohen-Cole argues that the committee’s vision of American society—as “a disparate community of experts held together by the rational abilities of its citizens to communicate across the boundaries of expertise” (27)—mirrored the social and intellectual environment of Harvard itself, as in interdisciplinary settings such as the Society of Fellows. [iv] This theme—social and intellectual worlds as mirror images—recurs throughout the book. The second chapter analyzes the efforts of social scientists and social critics who were anxious about the consequences of conformity to develop tools for probing individual character in the 1940s and 1950s. They used these tools to pathologize political views that were thought to fall to the right or left of center, and thus helped produce and police a centrist political culture. One of Cohen-Cole’s primary examples is The Authoritarian Personality (1950), a large scale study co-authored by Theodor Adorno and the psychologists Else Frenkel-Brunswik, Daniel Levinson, and R. Nevitt Sanford. These social scientists understood authoritarianism, defined along scales of ethnocentrism, authoritarianism or facism, and anti-Semitism, as a “syndrome” that could be diagnosed through the administration of a battery of surveys, interviews, and projective tests. The Authoritarian Personality explained ethnocentrism in terms of cognitive deficits, such as “rigidity” and “intolerance of ambiguity” (41). Cohen-Cole points out that built into these tools were lay understandings of the qualities the tools were supposed to measure, so that instruments that claimed the mantle of scientific objectivity in fact “aligned closely with cultural and socioeconomic divisions in American culture” (45). Researchers found that scientists were creative and nonconformist, while military officers were just the opposite; that women were more conformist than men; and that authoritarianism was inversely correlated with education level and class. Some liberal intellectuals would mobilize these categories and concepts to frame political issues in terms of individual psychology, dismissing those they disagreed with—from the “radical right” to bohemians and Beats—as psychologically impaired. For these scholars, there was no reason to distinguish between the social world of the academy and society writ large. People were worried about how to guard against mediocrity and alienation in both spheres. Prevailing intellectual trends such as game theory and the study of small groups allowed academics to generalize across levels. The small group appeared to some to be the fundamental unit of society, whether the neighborhood community or the National Security Council. The conference was an object of intense scholarly fascination, and this could get very meta: Margaret Mead, for example, conducted ethnographic studies of conferences sponsored by the United Nations that were themselves dedicated to the study of conferences as a social form. The Macy Conferences on cybernetics held in the late 1940s and early 1950s were similarly introspective, “an immediate testing ground for the idea of circular feedback” (111). Cohen-Cole introduces the “salon” as a key site for the production of social scientific knowledge in the decades after World War II. Institutes, conferences, discussion groups, workshops, cocktail parties—these were the places and spaces outside of established institutions, disciplines and departments where academics rubbed elbows with “social critics, policy makers, educators and foundation officials” (127). The salon was a new form of life, and it thrived in the institutional cultures of places like the RAND Corporation, Stanford’s Center for Advanced Study in the Behavioral Sciences, and MIT’s Center for International Studies (CENIS), and in the elite social circles of Cambridge, New York, and Washington, D.C. It was in the context of the Cold War salon that social scientists and others not only discussed open-mindedness but also performed it for one another. This was, to be sure, an extremely exclusive world that worked to keep out not only Communists and the otherwise dogmatic and ideological, but also anybody who did not possess the “norms of selfhood as defined by liberal social thinkers” (106). But it was also a world of intimacy and conviviality, where brisk walks in the sunshine and gin fizzes made fuzzy the boundaries between academic and social life. 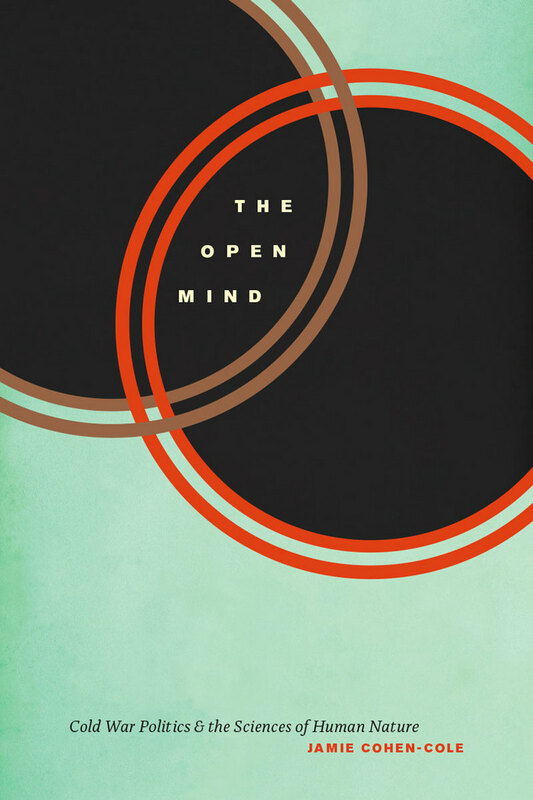 Three chapters of the book are given over to an examination of the relationship between the open mind and the rise of cognitive science. As they fought for legitimacy, cognitive scientists drew from popular culture and social psychology to craft their own self-images, and then used these self-images to construct their models of human nature. They employed scientific processes as metaphors for everyday cognition, so that “scientific cognition functioned as a model of all human thought in the same way that fruit flies, tobacco mosaic viruses, nematode worms, yeast, and laboratory mice have served as models of the genetics, biochemistry, and physiology in all organisms” (165). Cognitive scientists challenged the reign of behaviorism, which understood human learning in terms of stimulus and response and considered the murky depths of cognition beyond the ken of psychological investigation. One of their strategies was to attack behaviorists themselves, characterizing their thought processes as narrow, ideological, and dogmatic. Cognitive scientists also used their new theories about human thinking to organize their own research. Harvard’s Center for Cognitive Studies, the first institutional home of the emerging field of cognitive science, is a case in point. The Center was founded in 1960 by the psychologists Jerome Bruner and George Miller, who felt constrained by the prevailing intellectual cultures of their respective departments, Social Relations for Bruner and Psychology for Miller. With funding from the Carnegie Corporation, and later the NIH, the NSF, the U.S. Office of Education, and the Defense Research Projects Agency, they set out to create an extradepartmental, interdisciplinary research center that would stand methodologically and physically apart. The psychologists, linguists, philosophers, and other scholars who came together in the heady atmosphere of the Center in the early 1960s did much to make the human mind a legitimate object of scientific inquiry. A unique research culture prevailed at the Center, characterized by interdisciplinary collaboration amid a general atmosphere of “[f]reedom and flexibility” (175). Cohen-Cole finds that interdisciplinary work at the Center was characterized by “tool exchange”: researchers from different disciplines “made a regular practice of peering into and borrowing from their colleagues’ toolkits.” Here he contributes to a growing body of scholarship that contemplates the place of tools in the social sciences. [v] Some have attributed the so-called “cognitive revolution” to the advent of the computer and the drawing of analogies between mind and machine. Cohen-Cole argues that this is too simplistic. Cognitive scientists may have adopted the computer as a tool, but the kind of mind and features of human nature they modeled were not determined by the machine. Cohen-Cole makes the case that the culture of interdisciplinarity at the Center, and not the mere presence of a PDP-4 computer, had much to do with the ascent of cognitive science. In the penultimate chapter, the narrative comes back around to pedagogy, taking as its subject Jerome Bruner’s efforts to further promote cognitive scientific knowledge through the development and dissemination of an elementary social studies curriculum called “Man: A Course of Study” (MACOS). With support from the National Science Foundation and the Ford Foundation, Bruner mobilized Cambridge intellectual culture for curricular reform. The idea was that elementary school children were to learn to think like social scientists—much like the Harvard conception of general education, the emphasis was on learning how to think rather than what to think. Human equality was a fundamental principle, and MACOS “was structured in a way that fostered a liberal sensibility” (214). The program achieved a wide audience, taught to 400,000 students in 1,700 schools at its peak in 1972. As the last chapter makes clear, in the early 1970s MACOS would become a victim of its own success, serving as a lightning rod for the burgeoning conservative movement. Opposition took root in local school boards, and soon drew the attention of national conservative leaders, who objected to what they perceived as liberal values built into the curriculum. Cohen-Cole argues that resistance to MACOS “operated as a political training ground,” and “crystallized a series of conservative views and organizational techniques that became characteristic of a newly political Christian right” (242). Conservatives, however, were not the only ones to attack the coupling of open-mindedness and midcentury liberalism. This chapter also finds leftist intellectuals and students, beginning in the early 1960s, challenging centrist social thought, which they cast as ideology masquerading as apolitical, objective science. They claimed the virtues of open-mindedness for themselves, and charged that centrist social scientists were anything but free-thinking. Intersections of the social and human sciences with second-wave feminism produced critiques of entrenched sexism and racism within the academy. These assaults from left and right upon the centrism that had prevailed at midcentury led to a “fractured politics of human nature” by the mid-1970s, the endpoint of Cohen-Cole’s story. Cohen-Cole demonstrates the value of irony as a rhetorical device for the historian. At the center of this account is a group of elite intellectuals who “often imagined America as a diverse group of experts whose differences could be overcome through intimate dinners or cocktail parties” (257). It would be all too easy to reproach them for their inability to see or think beyond themselves and their rarefied world. But Cohen-Cole has chosen an ironic interpretation instead. The observer of the past who favors such an interpretation “must be able to appreciate both elements in the incongruity that go to make up the ironic situation, both the virtue and the vice to which pretensions of virtue lead,” the historian C. Vann Woodward once wrote. “He must not be so hostile as to deny the element of virtue or strength on the one side, nor so sympathetic as to ignore the vanity and weakness to which the virtue and strength have contributed.”[vi] The Open Mind gives both the virtue and the vice their due. [i] Paul Erickson, Judy L. Klein, Lorraine Daston, Rebecca Lemov, Thomas Sturm, and Michael D. Gordin, How Reason Almost Lost Its Mind: The Strange Career of Cold War Rationality (Chicago: The University of Chicago Press, 2013). [ii] For accounts of the intellectual ambiguities of social scientific research sponsored by government and military agencies, see, for instance, Mark Solovey, Shaky Foundations: The Politics-Patronage-Social Science Nexus in Cold War America (New Brunswick: Rutgers University Press, 2013); Joy Rhode, Armed with Expertise: The Militarization of American Social Research during the Cold War (Ithaca: Cornell University Press, 2013); and David Engerman, Know Your Enemy: The Rise and Fall of America’s Soviet Experts (New York: Oxford University Press, 2011). [iii] Sarah Igo, The Averaged American: Surveys, Citizens, and the Making of a Mass Public (Cambridge, Mass. : Harvard University Press, 2008). [iv] Another recent book that links ideas and epistemology with interdisciplinarity in the mid-twentieth century is Joel Isaac’s study of the flowering of “scientific philosophy” within Harvard’s “interstitial academy,” or the institutional spaces between more established disciplines and programs. In Joel Isaac, Working Knowledge: Making the Human Sciences from Parsons to Kuhn (Cambridge, Mass. : Harvard University Press, 2012). [v] See for example Rebecca Lemov, “‘Hypothetical Machines’: The Science Fiction Dreams of Cold War Social Science,” Isis 101 (2010): 409 and Joel Isaac, “Tool Shock: Technique and Epistemology in the Postwar Social Sciences,” History of Political Economy 42 (2010): 135. [vi] C. Vann Woodward, The Burden of Southern History (Baton Rouge: Louisiana State University Press, 2008 ), 193-194. Marie Burks is a PhD candidate in MIT’s Program in History, Anthropology, and Science, Technology, and Society (HASTS). She studies the history of the modern social sciences. Burks M. Jamie Cohen-Cole’s The Open Mind: Cold War Politics and the Sciences of Human Nature. Somatosphere. 2015. Available at: http://somatosphere.net/2015/jamie-cohen-coles-the-open-mind-cold-war-politics-and-the-sciences-of-human-nature.html/. Accessed April 26, 2019. Burks, Marie Elizabeth. 2015. Jamie Cohen-Cole’s The Open Mind: Cold War Politics and the Sciences of Human Nature. Somatosphere. http://somatosphere.net/2015/jamie-cohen-coles-the-open-mind-cold-war-politics-and-the-sciences-of-human-nature.html/ (accessed April 26, 2019).